Reiki (pronounced "ray-key" and not "reeky") is a healing technique that uses universal life force to heal through balancing the subtle energies within our bodies. Reiki addresses physical, emotional, mental and spiritual imbalances. While it is common for Reiki practitioners to place their hands on parts of your clothed body to engage in this process, healing can still take place without touch, so please feel free to request a hands-off session if that is more to your comfort. I strive to provide trauma-informed care for all my clients. If you are pregnant, a Reiki session can be a wonderful opportunity to communicate with your unborn baby. Often, babies share with their parents and the Reiki practitioner in ways that reveal many things, including why they have chosen a certain position within the womb and when they will choose to be born. As an intuitive healer and empath, I can assist you in connecting with the little person inside of your body. 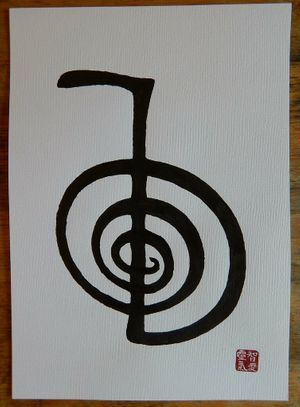 I am certified in Shinju Pa Ro and Usui Shiki Ryoho Reiki systems Level I and II. Currently, all Reiki sessions are conducted at my home. Please e-mail beth.murch@gmail.com or call 519-998-3204 to book an appointment.